Located in the pine flatwoods of Putnam County, Bardin is the home of a suspected regional Florida Bigfoot affectionately called The Bardin Booger. The Florida town of Bardin may be small but it’s known for a larger than life legend dating back sixty years. Located in the pine flatwoods of Putnam County, off Highway 17, Bardin is reported to be the home of a suspected regional Florida Bigfoot affectionately called The Bardin Booger. 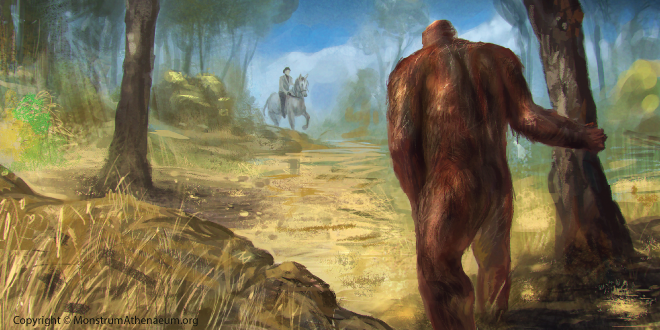 While Florida is no stranger to its fair share of cryptids, the legend of this particular Bigfoot has remained strong for a few generations now as sightings have persisted since the late 1940’s. One of the earliest recorded stories comes from nearby Palatka and dates back to summer 1947 or 1948. A woman was riding her horse, alone, through the pine flatwoods to visit a neighbour. Up ahead, she spotted a dark figure, a man, wearing what appeared to be a raincoat. The woman thought this odd since it was a warm and sunny day. However, as her horse trotted closer, she realized the coat was actually fur and it was no man. The horse, instinctively sensing something was wrong, stopped and refused to proceed any further. The woman watched the figure slide up and down against a tree like a scratching post until she managed to back her horse up and leave the area. Later, she remarked that as a kid, she often heard her mother mention strange woman-like screams from the woods but admitted she herself had never heard them. In the summer of 1971, a man and his friend were driving along the SR100 near Putnam Hall when they saw a figure at the side of the road. Wearing torn and dirty clothes, it was around seven feet tall with long arms and covered in hair; looking more like an animal than a man. The duo reported the figure looked very strong and intimidating, with a face ‘of a caveman’, but simply watched the car go by without incident. There’s an undated story of a sighting told from the perspective of a man’s nephew who had an encounter with a creature some 20 years earlier. According to the nephew, his uncle was in Ocala National Forest and witnessed a creature around seven feet tall with a thick, stringy coat. 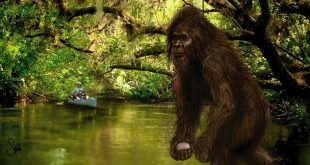 At the time of the sighting, the man suspected it may have been a gorilla but when he later read a news report about another famous Florida Bigfoot, the Skunk Ape, he realized the creature he had seen closely resembled the creature in the report. 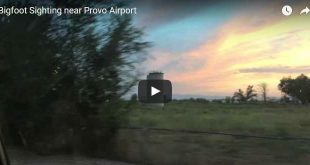 Another sighting noted on the Bigfoot Encounters website relates a similar story. A man was out with some friends when they saw a tall, hairy man on the edge of the woods near Bardin. They chased the creature and one of them raised a gun to fire but couldn’t concentrate on the target due to the strong, rotten smell emanating from it. 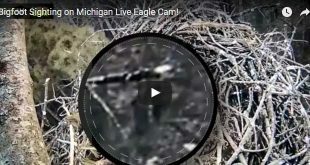 While the Bardin Booger may be a bit of a spin for the benefit of tourists, there is little doubt in the minds of believers that there is a Bigfoot-type creature in the Putnam County area of Florida. 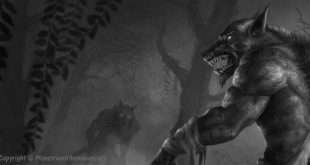 Further, those who encounter the Bardin Booger describe a terrible stench suggesting it is perhaps the same or closely related to the Skunk Ape or the Honey Island Swamp Monster; both well known Pacific Coast cryptids.